The Brazos Drive-In is one of the many unique, one-of-a-kind spots in the small town of Granbury, Texas. Something about the classic southern charm of this place keeps many folks coming back year after year. 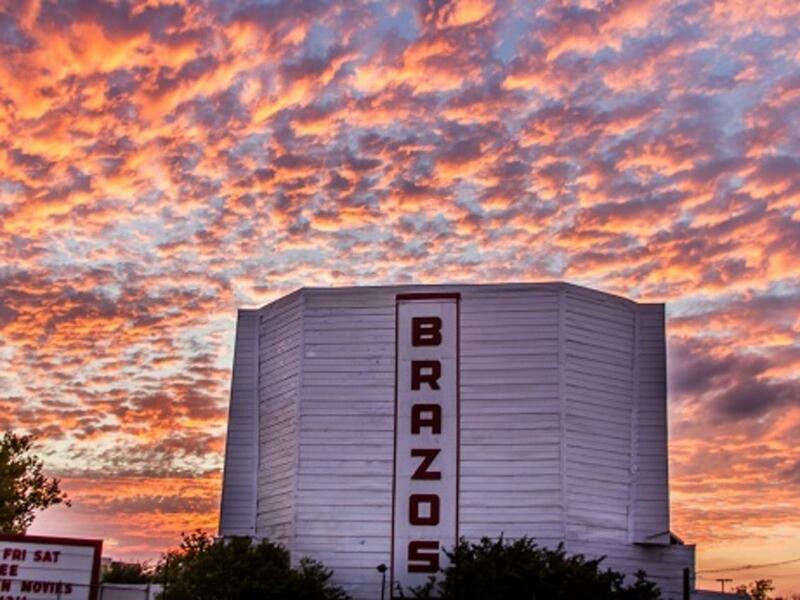 You can’t miss the large iconic “Brazos” screen peaking around the trees just off the Historic Granbury Square. The classic theatre was open for business in 1952, and since then is not only one of Texas’ last drive-ins, but also one of the few that have continually been open that long. On any Friday or Saturday night [almost] year-round, you’ll find cars lined on Pearl Street around 6:30-7 PM to snag their spot for a double-feature. Each car is $20, and $4 for each additional person over six people. It’s a great deal. Even better, they usually show new, family-friendly movies rated G to PG-13, and maybe a rated R movie if it is extremely popular on the charts. It’s a great spot to catch that new movie you have been dying to see. You’re sure to enjoy the vintage-style concession stand stocked with the typical movie treats and equipped with classic antique metal theatre chairs (reminds us of Grease every time!). Additionally, you can also bring your own food and drinks inside. The really unique part about the Brazos Drive-In is that most people bring lawn chairs, blankets, pillows, and even furniture to set out in front of their cars to watch the movies instead of staying in the car. You’ll usually see a large group of kids playing in the grassy area in front of the screen before the movie as the sun is setting over Granbury High School. Don’t forget to tune in to 89.1 FM to catch the whole thing. The first movie starts at dusk. Stay updated with their Facebook page for upcoming movies, and grab the entire family for this nostalgic experience! 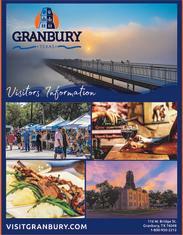 Visit Granbury Drive-In Tips: bring bug spray, something to sit on outside the car, pajamas for the kiddos, and flashlights (or fun glow sticks for the kids!) for walking around during the Intermission. Already been? Share your fun Drive-In experiences and memories in the comments!